Nutrifii is a premium collection of bioavailable supplements that include synergistic blends of vitamins, minerals, nutrient-dense superfoods, essential omega-3 fatty acids, powerful enzymes and metabolism-supporting essentials for ordinary health and vitality.† Designed for optimal absorption, carefully sourced and expertly crafted, Nutrifii is free of GMO’s, gluten, soy, synthetic fillers and artificial colorants. 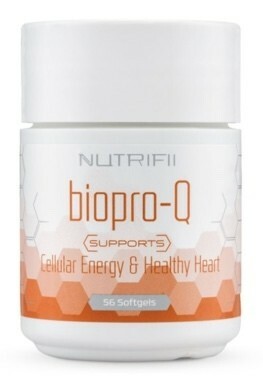 ​Biopro-Q us a dynamic fusion of Ubiquinol, the most potent form of CoQ10 and BioPerine®, a patented black pepper extract that enhances bioavailability for optimal nutrient adsorption. This powerful duo helps boost youthful cellular energy production by acting like a spark plug that ignites energy generation within the cells. ​Delivering bioavailable forms of calcium, magnesium, vita-min D3 for calcium absorption, and vitamin K2 for nutrient absorption, Magnical-D is your source for maintaining strong, healthy bones. This exclusive mineral and vitamin blend delivers critical bone-health nutrient in a single, convenient formula.